Found this written down on a piece of paper in some cook books that I have not looked at in the longest time. Not my writing, and dont know where it came from. But it is a quick, and flavorful one pan dinner. Thinly slice the celery and onion. Cut the pepper (or peppers if your combining the two colors) into thick strips. Prepare the broccoli. Try not to use stems, just the florets. If using frozen you may want to give them a bit of a pre cooking in a microwave. If you decide to go with the mango, peel and cut into thick strips. Cut the beef into thin slices. Generously coat a large wok with vegetable or extra virgin olive oil (Evoo), and then set over a medium high heat. When pan is heated, add the beef and stir fry until no pink remains. (Approx. 1-2 mins). Remove from pan and set aside. Place the vegetables, mango (if using), teriyaki stir fry sauce and the balsamic vinegar into the wok. Stir fry for about 5 minutes, and then add the beef. Continue to stir fry until the beef is once again warm, about 3-5 minutes, sprinkle with pepper and cayenne to your liking. Sounds delicious! So nice with rice! 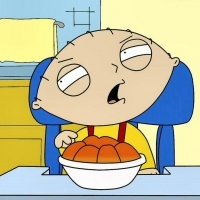 Like stewie's recipes? Never miss an upload!